At North Lanarkshire Heritage Centre we have regular kids and adult activities, as well as exhibitions. A different craft or hands-on activity every Saturday. Just drop in during the advertised times. Suitable for over 5s. Rhythm, song & rhyme for pre-school children. Visit Local Studies and Archives on the 1st floor for advice on how to trace your family history. Free access to Ancestry.com. You can also book an in-depth session with a member of staff for £5 per hour. Family fun days, arts & crafts, family history courses, archive talks and more! Booking is required for some events. 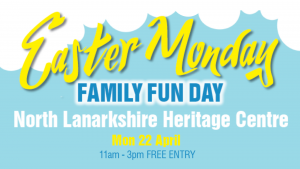 To book, please call 01698 274 590 or visit North Lanarkshire Heritage Centre. Download our Event Listing Guide for 2019 here. Toddler fun with a heritage theme! singing, stories and craft sessions for pre-schoolers. Create a history-inspired collage. Please book in advance. Come along for a good old fashioned sing-a-long with songs from the 50s, 60s and some old Scots favourites. 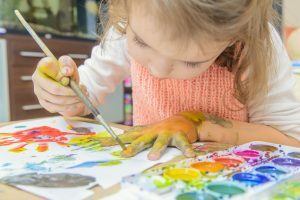 A jam packed programme of activities to keep the kids entertained during the school holiday. Look out for tours, talks, activities and more. So You Want To Be A Roman? Roman themed activities all weekend; try on some Roman armour, dig up some pottery and make a craft. Come along for a good old fashioned sing along and some tea and biscuits. Join us for daily activities throughout the holidays. £3 (includes materials) Please book in advance. Children’s Halloween games, crafts & stories. Winter exhibition and storytelling, seasonal crafts & films and Holly’s Elf School.